Mezco’s Living Dead Dolls Presents series has a new cat burglar on the prowl! 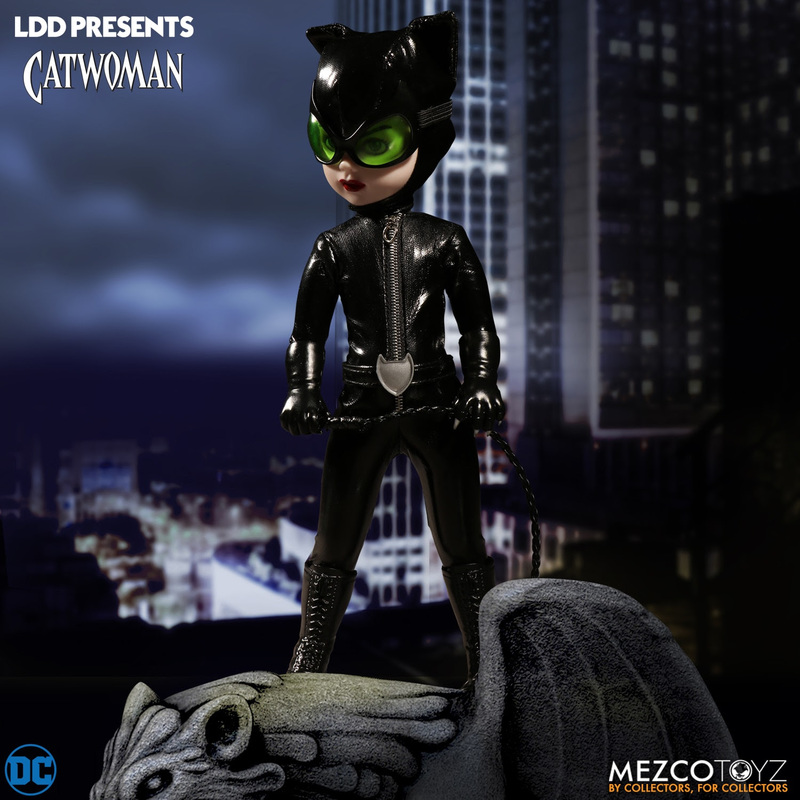 Based on her appearance in DC’s comics, the 10-inch tall LDD Presents DC Universe Catwoman comes outfitted in a leather-like body suit with a functional zipper. Her belt features a cat-shaped buckle. LDD Presents DC Universe: Catwoman is now available for pre-order priced at $50.